Companion Life Insurance Company has specialized in employee benefits for more than 35 years. As the years have passed, the company has changed along with its customers. It has added a variety of insurance products and services to its portfolio. It currently markets insurance products in 45 states and the District of Columbia. The company’s most explosive period of growth has occurred over the past eight years, as it enhanced its product line. 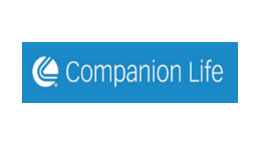 Companion Life has earned an A.M. Best rating of A+ (Superior) and a Weiss Rating, Inc. rating of A- (Excellent).